Imagine yourself doing nothing but collecting money every day, that has to be one of the biggest fantasies to many Singaporeans. In the past, only the wealthiest in the world have this privilege and this has been the most well-kept secrets of wealth for thousands of years. What you might not realize is that you and I are lucky enough to live in the era where anyone has a chance to tap into this. The Investment strategies used to be exclusive for the rich, now are available to you too. This secret has been tested countless times by ancient lords who own the lands to industrial capitalists who own the factories. The wealthiest spend all their time and energies to build Income Generating Assets (IGA) so they don’t need to work anymore. If you think property investment is about flipping properties, buying low and selling high, that is a deadly misperception. You see, the rich enjoy their lives and do what they love to do. 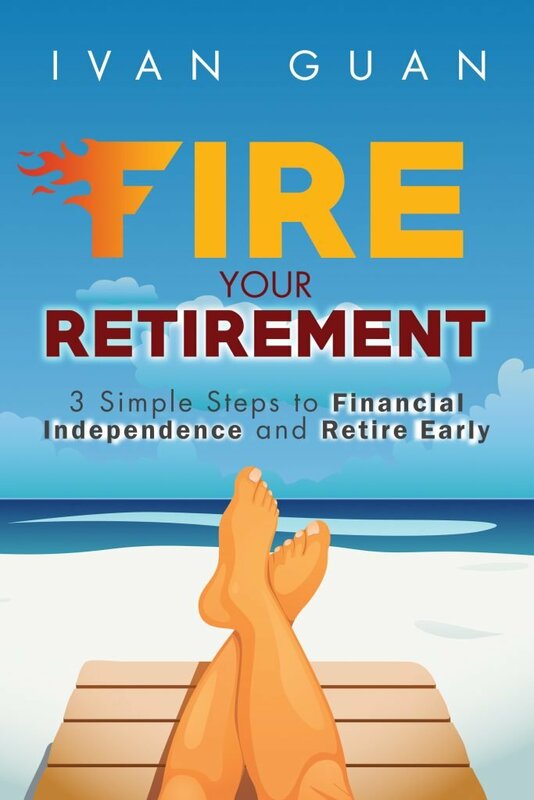 Flipping property itself is just another rat race, and you will still never be able to retire. What you want is income without much working. I was first enlightened by billionaire Phillip Ng’s stewardship concept. The assets owned by the wealthiest people are obvious, but not straightforward. They are a little different from what most people understand, and that little difference, my friends, makes all the differences in wealth. Here is how the wealthiest choose their property investment… Optimally Leveraged and Discounted Properties. But before we dive into the details, let’s clarify some wrong perceptions. When it comes to investment in Singapore, you cannot ignore property. Land ownership is perhaps the most ancient expression of wealth, and our little red dot certainly gives solid proof for this. Thanks to our insanely overpriced property market, nearly all of our Singaporean billionaires were built upon real estates. This, unfortunately, gives a false impression that you will never go wrong by buying property, it is no surprise that property is preferred retirement asset for many Singaporeans. I am buying this property for own stay and investment. This house is the asset I leave to my children. 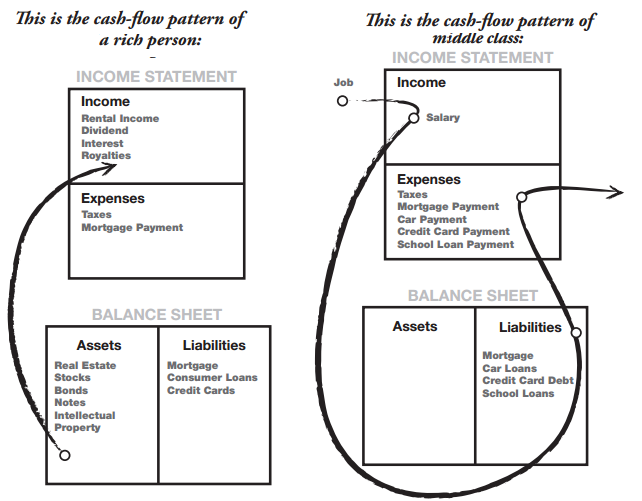 If you look carefully at Robert Kiyosaki’s diagram below, you will realize owner stay property is a liability to you, NOT asset. This is simply because you pay the mortgage every month, and the house never puts money in your pocket. If it generates income, it is an asset. If it generates expenses, it is a liability. On contrary, what the rich do is very different. They own multiple properties and the properties are rented out to generate income for them. Physical Properties could be the worst “investment” in your life. In a detailed report, Jesse Colombo, the man who predicted US property bubble, pointed out how vulnerable Singapore property market is. Singapore’s house price-to-income ratio (Property Price / Annual Income) is 25.38. That means most Singaporeans have to work more than 25 years to pay off their mortgage loans. 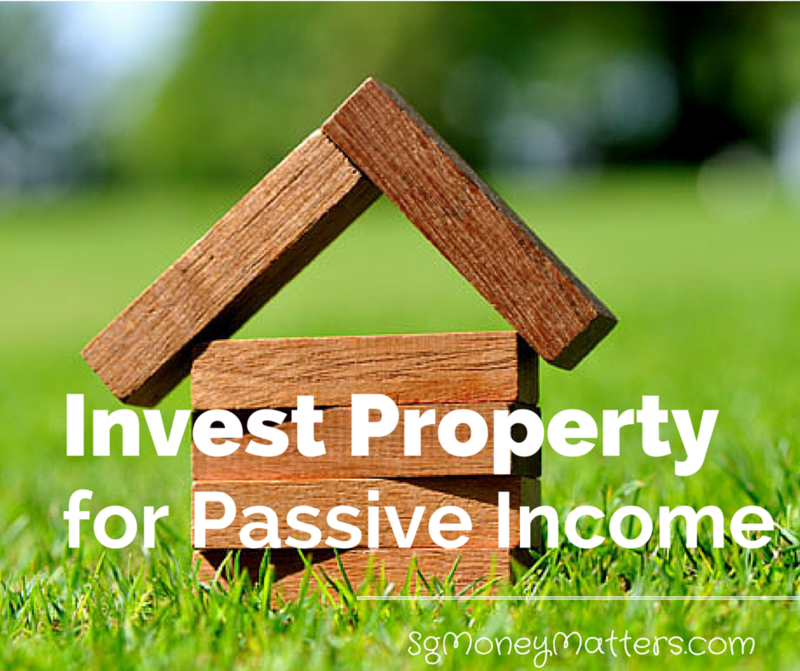 In another word, if you “invest” in a property and stay in it. It is an “expense” for the rest of your life. So now you should understand, with the same amount of capital, Robert Kiyosaki can buy 11 properties in the US and you can only buy 1 in Singapore. He will then rent out 10 of them to collect income while an average Singaporean is still struggling to pay off his debt. According to Global Property Guide, despite the recent drop in property price, the rental yield remains poor at 2.35% to 3.00%. The central area Condo rental yield is as pathetic as 1 to 2 percent as shown. To put the figures into perspective. If you intend to use your rental to cover your mortgage payment. a 2% rental yield means that you definitely have a negative cash flow. Moreover, you need 40 years rental to pay off the loan (assuming 20% down payment) without even accounting the interest payment. Most savvy property investors follow two rules, using optimal leverage and buying property at an insanely discounted price. This may sound simple but not easy to implement. Leverage is really the principle which separates those who successfully attain wealth from those who don’t. If you pay a 20% down payment – or $200,000 on a $1,000,000 asset, you essentially use a small percentage of your own money and the majority of the purchase is being provided by the bank. So even if your property has a rental yield of 3%, the rate of investment is roughly $30,000 over $200,000 investment, a 15% return! This is essentially a Financial Leverage, which profits using other people’s money (a.k.a OPM). The rich are the master of leverage because it allows them to build more wealth than they could ever achieve by their own resources and personal limitations. However, understanding leverage is just the beginning. Most people save years for the down payment and spend their life on paying the mortgage. That is the traditional financing. What the real savvy property investors do is often “creative financing”. With their network and an army of professionals, they may never pay anything for the property transaction, a true application of OPM. But I won’t discuss much as it is too complicated and has very limited application in Singapore nowadays due to the regulations. Let’s leave it to the secrets guarded by the rich. If you are a VIP of some fashion brands or shopping outlets, occasionally you may be invited to a special event to enjoy some exclusive discount. The rich also have this kind of events to buy at a huge discount comparing to the market. The only difference is that they buy properties. We all know rental yield and property price are in reverse relationship. If you can buy a property much cheaper than the neighbours and rent out at the market rate, you will get a higher rental yield. This idea is so simple so it is often ignored by property investors. But this is probably the only way for you to build GOOD income generating property asset. You see, when the market was good, people just pay any price, and they earn 2–3% yield. The savvy investors will only move if there is an insanely good deal, and they move fast. From Singapore’s historical rental yield chart, you can see in 2008 during the financial crisis, the mass market rental yield can be as high as 5% because the properties were all sold at distressed prices! On the other hand, mortgagee sales is another secret of the wealthy to accumulate property assets at a discount. Some of the non-financial tactics are discussed extensively by PropertySoul in her book “No B.S. Guide to Property Investment ¨C Dirty Truths and Profitable Secrets to Building Wealth Through Properties”. It is a great book, you should grab a copy. What is the right way to invest property? Let’s go back to Singapore’s property billionaires. You may realize the biggest beneficiaries of this whole property boom are never the property buyers, but the property developers and operators. 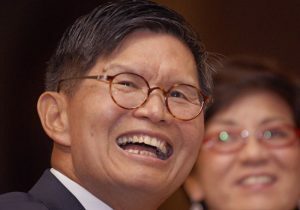 According to Forbes, the richest man in Singapore late Ng Teng Fong owns Far East Organization and Sino Group, which developed more than 700 hotels, malls and condos in Singapore and Hong Kong. Kwee Brothers control Pontiac Land, privately held property developer and hotel operator that owns Singapore’s Ritz-Carlton, the Regent, Conrad Centennial and the Capella. The moral is that rich run property investment as a business. Although property investment rewards well, unless you want to be in the same trade, you don’t want to bet all your life savings into physical properties for your retirement as it just gives you another job to do. In fact, you don’t even have to run a business to build your property empire. We are lucky enough to live in an era where Real Estate Investment Trust (REIT) is readily available to retail investors like us. REITs give us access run our own property empire without billions of dollars. If you have not heard about REITs, click here to read more. If you find this article useful, share it with your friend using the share button below. Do you agree Singapore condominiums are not worth investing? I would like to hear from you. Hi Ivan, Do you do one-on-one independent financial planning advice? How can I reach out to you and how are yr fees like? Hi Jen, yes, as a licensed independent adviser, I do financial planning for my clients. You can send me a message via the contact form. I’m looking to buy a commercial property at UB. One. Buying it at a discount. Any advice? The concept of buying residential and commercial property is the same. You need to have the patience for a good deal and real estate professionals working for you. If it is the first time that you are buying a commercial property, I suggest you talk to a few buy-side property agents who are specialized in commercial properties to have a feel first. And “don’t fall in love with the property, fall in love with the numbers”. Is it worth buying a HDB for higher rental yield? What happens if you decide to rent the asset long term, can you expect the asset to start depreciating in value at a certain point due to the 99 year lease hold? if so is there any benchmark of when it would start to do so? HDB generally has a higher rental yield due to lower capital outlay. However, you should expect a depreciation of the flat at certain point due to both the leasehold status and running down of the house. It is hard to pinpoint a year because due to limited historical data of such transactions. Thank you Ivan. Good reminders about investing in properties. Good read, nicely done property investment article. Hi Ivan, according to sg population white papers, won’t it be enough to proof the potential of investing in properties in sg? Land scarcity plus population increase? (With approx 60k immigrants granted in every year). Pls advice. Many thanks for your time. Population growth and property price are separate issues, although they seem to be linked. The real estate price is a vote of confidence by the buyers. Essentially, people are not buying the land or the building, but the perceived future value of these bricks. Singapore’s population density is 8,350 per sqKm, but Mumbai’s density is 29,650 per sqKm, 3 times more than Singapore’s. Is the property price in Mumbai higher than Singapore? The biggest risk (also the opportunity) is 2019 is the liquidity crunch. The property market needs an inflow of new money to pump up the price. When the bank is tightening, buyers and property owners who need refinancing will have difficulty to get the loan they need, thus the demand will be dampened. You will see more mortgagee sales and fewer transactions in 2019. Buying a home you can barely afford and ending up starved of cash for other goals. Which is why, it pays to be mindful when working out your finances to ensure affordability in the long run when it comes to picking the right property to buy. Thanks for sharing! Thanks sharing this great article about how to spend properly your money, this is very helpful and i really like it. But here’s the thing – regardless of what might be in Singapore’s future, you’ll still need a place to stay and right now seems like a great year to invest in a condominium unit. Thanks for this article. I’ve learned a lot! I agree with you that if we invest our property in these ways in Singapore then we can get maximum advantage. Thank you Ivan for this interesting article. I totally agree with you that investing in condominiums is not the most ideal form of investment at this point of time. Developers aside, there are also companies like MacDonald’s whose real $ making business is not their fast food chain but property investment. The type of properties they invest in? Commercial / Industrial. Industrial properties generally have the highest rental yield and commercial properties have the highest capital gain (especially conservation shophouses), compared to residential properties. So even if the property market is soft and the so-called economy is bad, $ can still be made. Now is a good time to go in at a lower buying price and with good holding power, lots more $ can be made. If we look at Singapore’s property market trend, every peak after each downturn, it is always highest than the previous peak. Thanks for the comment, so you opinion is to buy commercial properties in the current Singapore economy? The commercial properties are still transacting heavily. The big investors are coming in to buy the properties at their lowest price. When the market picks up again, who stands to gain the most? Take a single mixed development as an example, the commercial titles are always more valuable than residential titles in terms of $psf. Potential of growth is also higher. Having said those, any property that one invest in, it must have RENTABILITY otherwise it will become a liability instead of an asset. Based on the Masterplan, Jurong East is a good place to invest in. Once it is developed by 2026 as the 2nd CBD in SG, with the high speed rail and the harbour port moving to Tuas, the property prices will soar. As it is, the property prices there have already moved up the ranks in the past few years. For Jurong East, in order for it to become the next 2nd CBD, there should be more office buildings coming up in the next 10 years. Right now, the number of office buildings there are not sufficient to make it one. For immediate investment, Vision Exchange which will TOP 1st quarter next year, should be a good buy. Another advise… Anywhere in Singapore (referring strictly to Singapore only) that our government set eyes upon or invest in, they will definitely see to it that what they say will happen because it is within their control. So follow them and invest, will not go wrong. I am not referring to building HDB estates or likes but major plans such as 2nd CBD which will affect Singapore’s economy. Hi, what formula do we use to calculate return on “own stay” investment? Buy for own stay but plan to sell after 5 years. For “own stay” property, if you go with the spirit of the article. I will just treat it as an expense. Because “own stay” property does not generate any income and will only cost you money. Some people will argue that there is potential future return when you sell it, but the future return is unknown. You cannot “plan to sell after 5 years” because if you can, it means you can predict the future. Why the property price will be higher than today after 5 years? not 3 year or 10 years? Trading property is merely a speculation like any other gambling. Most of the time, you have around 50% chance of winning. How do you buy property at insane discounts? Are these discounts available to the typical Singaporeans? Most insane discount occurs during a flash sale. If you have done enough homework and luck is at your side, you may get one. But I would say most of the time, it is not available to typical Singaporeans. In a property downturn as is happening now, if you have before optimal leverage up based on upward momentum, you have to adopt reverse, so it is optimal leverage down based on downward momentum. 2) cough up full cash monthly amount for installment if cannot find the OPM. Now on the point of OPM, if OPM dries up, this mean source of funding in general has become scarce. Expect to pay higher interest for everything that has loans in it. This is one big unknown factor – interest rate. Low interest rate has seeped into economy for so long that it becomes effective negative rate. Negative interest leads to vanishing fund, vanishing funds leads to vanishing OPM. Vanishing OPM can never be replenish because lifespan cannot be reproduced. In such a scenario, the unknown is will rising interest rate be steady and very long increase or tsunami rapid increase? The longer the property idle without rental income, the yield potential of the property becomes less as it is leasehold. It is not logically possible to take back for example 5 years of idle rent. So the objective is to cut loss fast and as early as possible. So instead of loss of $400k, maybe with proper exit strategy, only lose $200k-$300k. So the loss avoidance can be $100k-$200k. What about the other $800K that you have borrowed in the above statement? Theoretically speaking, it is not 15% return on $30K, but rental yield of 3% minus interest expense (plus outgoings) = gross return? I used to think in this way too. But now I realize that is the beauty of “optimal leverage”. There is a difference between the mindset of leveraging your future’s income and OPM (other people’s money). If you buy a property and faithfully pay off the debt, you are just taking your future’s money in advance. Thus the return based on your capital is low. If you buy a property with the aim to generate maximum return on your capital, you will find ways not to put too much of your own money but more OPM. For example, the rich will keep on flipping the property or refinancing the loan so not to lock up their own money in the property. I don’t think you have answered my query above. How do you factor in the ‘Optimal Leverage’ or OPM of $800,000 in terms of total return. There has to be cost associated with optimal leverage or utilising OPM and need to be factored in terms of total return. An investment property is similar a stock “option” from financial point of view. Because your loss is more or less capped at what you have paid (the down payment) but your upside is “unlimited”. In another word, your risk is 200K and the 800K is bank’s risk. That is why there is normally a mortgagee sale if your house value is below 800K in this case. The real calculation will be a bit complicated and I will probably give a more detailed discussion in a future post. But in a nutshell, you can calculate “internal rate of return” based on the cash flow. For example, assuming you buy a $1m property and rent out for 5 years and sell it at $1.2m later. Your cash inflow will be the rental income for 5 years and net sales proceed at year 5. Based on this, you are able to work out your real investment return. Exactly what u r saying didn’t answer his qns. And what u reply don’t make sense. How can u say the return is 15% yield if u need to pay the interest from ur rental??? A simple point. Don’t complicate it. Assuming mortage interest is 2%, loan period is 16 years, a loan amount of $800000 will yield monthly mortage payment of $4872. For simplicity of calculation, we assume that property is rented out for one year and then sold for same price of $1000000 after that one year, we can then find out the investment gain for one year. The monthly average interest for 1st year is $1300, with a monthly principal reduction of $3572. Do u have any input on overseas property such as Australia or Japan? What specific questions do you have in mind for orverseas property? You will find thousands of ways to create money, however just it’s possible to give you that excellent financial breakthrough. Every online company must be carefully investigated before beginning. Here is the great chance to secure your investment as well as earn more. How can I create money If I don’t have money in hand. How do I attract investors?